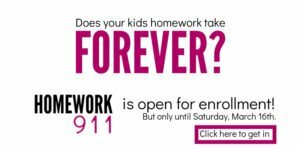 Wondering how you’re supposed to get stuff done with kids? 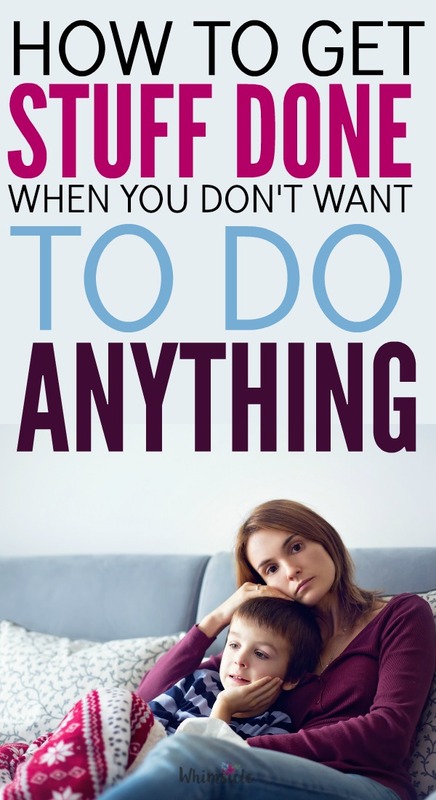 What about when you don’t feel like doing anything? These four practical tips will have you of the couch and getting things done. You’re sitting there on your couch. Your kids are asking for another episode of Paw Patrol. The baby is perched on your chest. Papers, cups, glasses and who-knows-what piles high on your kitchen counter. You don’t want to do any of it. Honestly, it seems easier just to sit and do nothing. There are so many times as moms that we’re drained from late night wakeups, our bodies ache, our shoulders hunch over and it all becomes too hard. Now imagine, getting up and being productive. Doing those things you’re avoiding and feeling that sense of accomplishment when you’re done. Let’s talk about a few ways you can get your groove back. I’m not going to sit here and say you just need to change your mindset, because it’s more than that. Some may call it lack of motivation. Others may say just change your diet. I know how that word sounds. There is such a stigma around it and all things mental health. And I want to let you know that just because you’re depressed doesn’t mean you need to immediately call a psychiatrist and get on anti-depressants. I’ve struggled with depression and anxiety since I was eight years old, although I never officially got treated for it until I entered my thirties. I remember pacing up and down the front sidewalk of our home in Tucson at 8-years-old, waiting for my mom’s white car to pull around the curve on our street. She was late coming home from work and I pictured her being in a horrific car accident. My throat felt tight, my breathing came in rapid bursts…. Turns out, she just stopped at the grocery store on her way home for work. By the time she pulled in the driveway, I was crying, frantic and so sure the worst had happened. When I became a mom, this anxiety popped up again and again. It’s not until I saw a psychiatrist and finally got diagnosed with depression that I realized what I was up against. According to a study called The Effect of Postpartum Depression on Mothering, less than 30% of people with depression actually receive treatment. Also, depressed mothers find less enjoyment in the mothering role than non-depressed moms do. Talk to your primary care doctor about your symptoms. If you’re worried about if you need to schedule an appointment, simply call the office and ask to leave a message or talk to a nurse. Seek out a psychiatrist. For me, I got a recommendation from my primary care physician. Even though it may seem odd to talk about your feelings – because we all think that our thoughts are under control, right? – treating this as a medical issue will help you get answers sooner. In her TED talk, mental health advocate Jessica Gimeno, suggests three things you can do to battle depression. Being proactive is the first one. Like any illness, you can’t simply expect to take a pill and immediately feel better. For instance, if you break your leg, the doctor doesn’t just put on a plaster and you immediately walk again. No, it takes a lot of adaptation such as learning how to use crutches, figuring out how to bathe yourself without getting your cast wet and learning how long you can stand before you start to feel pain. The same goes with your mental state. So think now to a time when you were super motivated and just blazing around your home getting stuff done, taking your kids to activities, drinking your coffee..
And then all of a sudden… it just stopped. What were your signs that your change of mood and motivation was coming on? Was your four-year-old screaming at every little thing that didn’t go his way? Did a tightness suddenly appear in the middle of your breastbone and you could feel your anger rising to the surface? Everyone gets triggered differently and once you know your triggers you can immediately rush into action. For example, as I write this, I’m sitting outside in my garage in Phoenix. Brown hat on my head, laptop perched on my lap and I’m watching my kids bike in our front yard. Every 2 minutes, it’s another interruption. I can’t concentrate and I can feel it coming. My chest tightens. My breathing gets shorter. I’m getting angrier. I know if I don’t act fast. My mood will turn and I’m going to be useless and in a funk the rest of the day. But, I have a plan. And that’s what I want you to have, too. I know I need a time out. So, I gather the kids inside, set them up with a TV show and decompress in a hot shower for 20 minutes. That’s my plan. Every time I feel the anger and this overwhelming feeling of uselessness, I know I need to take a break from mom duty to recharge. Sometimes all I can find is the closed door of a bathroom. Start looking for the signs that you are approaching your limit. Then, know your plan for how to break out of it. He meant do your hardest task first and the rest of the day will seem easy by comparison. I’m telling you, he’s wrong. If you struggle with a lack of motivation and feel downright depressed, it can seem way too overwhelming to do anything at all, nonetheless difficult things. When a sink (and let’s face it, counter) of dirty dishes taunt you, tackling that task seems way too much. So, instead, you do nothing. When you are looking to feel motivated, the best thing you can do is to build on small successes. Here’s how you can do this with your everyday life. List out everything you need to do at this moment and give each a score. Write a 1 next to everything easy. Stuff like eat lunch, brush hair, brush teeth, take a nap. Scrawl a 2 next to medium tasks like dust, vacuum, take out trash. Anything that requires minimal mental energy. Finally, give a 3 to all the hard stuff. Such as clean off the kitchen counters, organize your desk drawer, write a blog post. When you’re feeling depressed, start with the 1’s on your list. That may be all you get to and if that’s true, it’s OK. But maybe, after completing a few 1’s you’ll feel a bit more energized and try some 2’s and then eventually move on to 3’s. My daughter gets sick and has to stay home from school. Or, my eyes start drooping, I get anxious and I think.. That’s all I can handle today. Then, I feel stressed because the important things on my list still haven’t been done. This is when I’ll feel like no one helps me out and start getting snippy with my kids, with my husband… with my cat. For example, a work deadline may have to be done today, but organizing my girl scout troop’s patches does not. In fact… I could probably delegate that organizing of patches to someone else. Clearing out your to-do list like this is the most liberating feeling in the world. When you only focus on your priorities and figure out ways to either not do or pass off the rest, you’ll find your load lighten and MORE will actually get done. I know how hard it is to find the motivation to do anything when you’re feeling tired. Kids can wear us out as well as create mountains of work that no reasonable human being can ever accomplish. Finding motivation to do all the things takes practice. If you figure out the root cause of your lack of motivation, create a plan for when you’re triggered, focus on easy things first and then ignore everything else that isn’t a priority you will find you can accomplish more than you feel like. And when that happens, you can conquer the world. Thank you for this . I really needed it today. I’ve been so tired and struggling with motivation for the last week. (I was also diagnosed with anxiety and depression when I was 20 and have been on medication as long as I can remember – and just recently started getting treated for sleep apnea) Yesterday I was so tired I couldn’t focus at work. I had planned to finally get the kitchen cleaned (my husband will load the dishwasher and then leave everything else) but I got home and was so tired I just laid down and fell asleep. My husband made supper and the kitchen is still a mess this morning but I realized if I was that tired I obviously needed some rest. I was hoping I would feel more energized today but so far that hasn’t been the case. Hey Kristine, lots of hugs 🙂 Sleep can mean everything. When I’m low on it, I can barely function and when I have good nights of sleep, I find that my days are much easier. However, how do you get that sleep? That’s the mystery. Definitely rest and take it easy. Here’s to feeling more energetic soon. Thanks. I liked this article. I’m going to make my list and pick an easy thing right now.